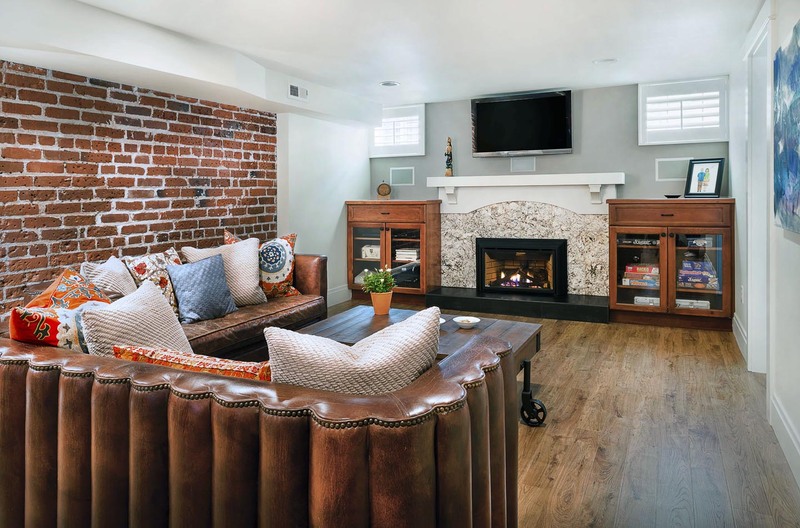 The homeowners of this Congress Park home wanted an adult space in the basement and the results are very chic. 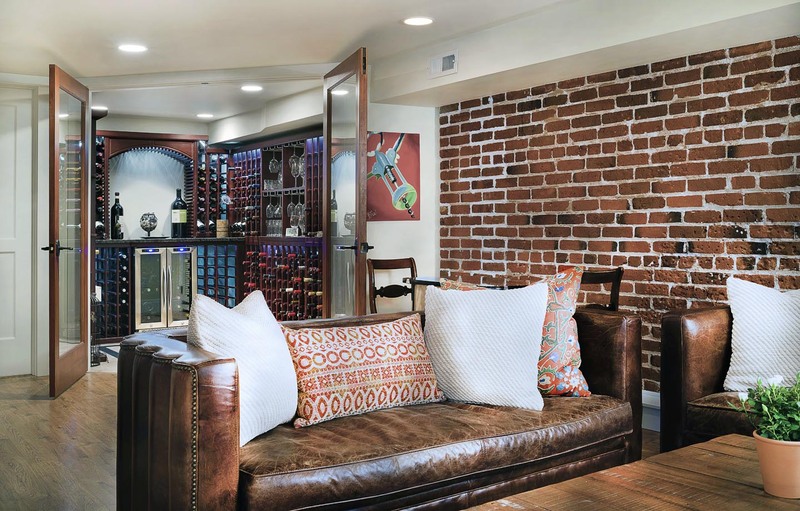 With an exposed brick living space for watching movies on the big screen to an inviting wine cellar, this is a basement worthy of entertaining. 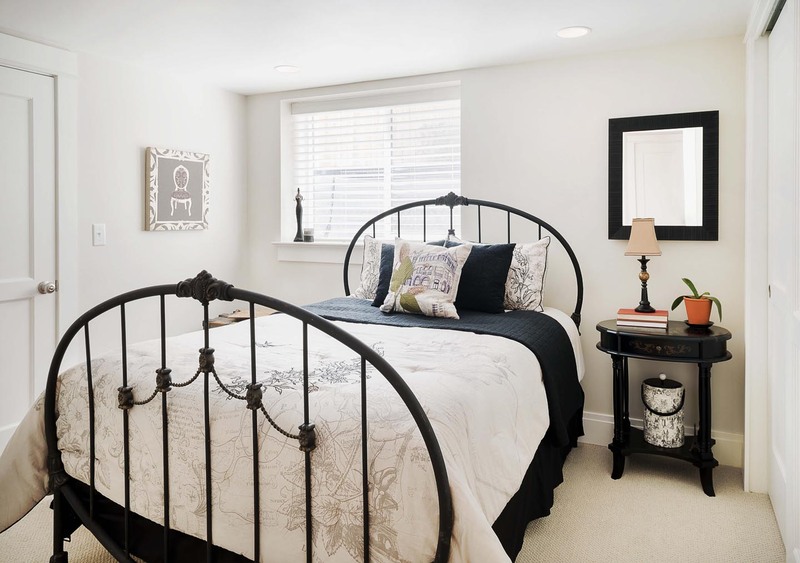 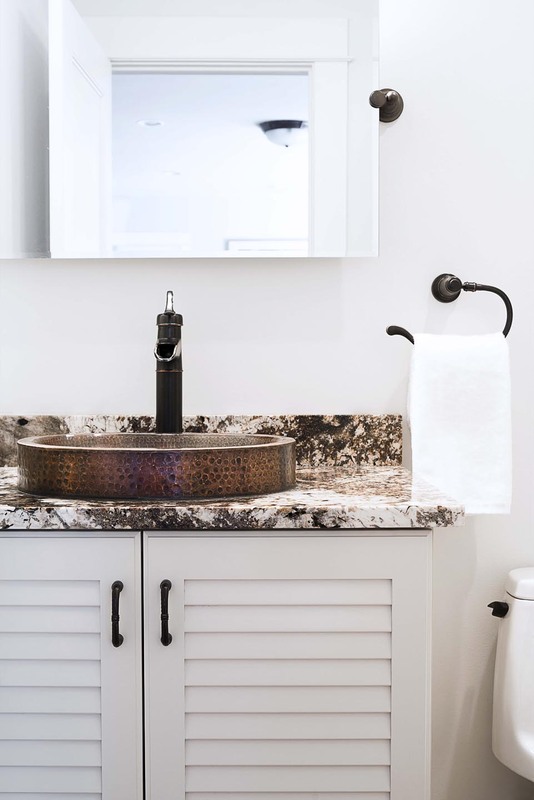 The bathroom and bedroom finish off the basement with a welcoming space for guests. 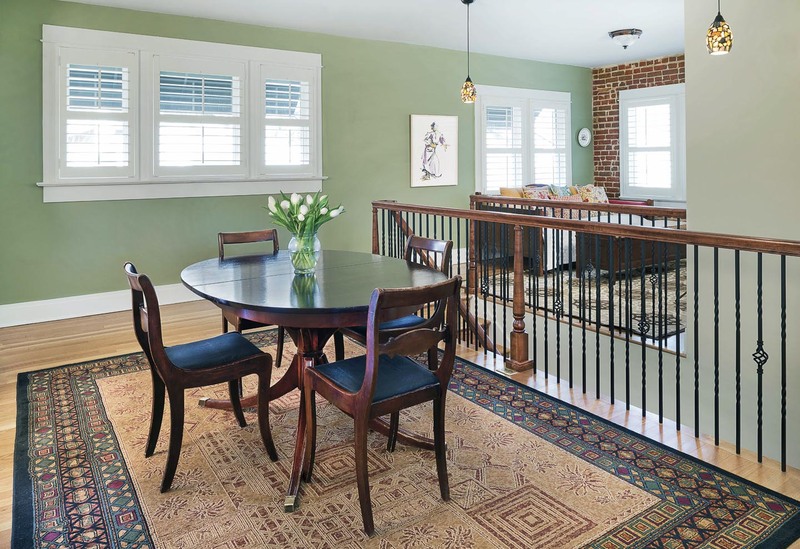 Upstairs, the dining room and stairs were updated with the same modern design.